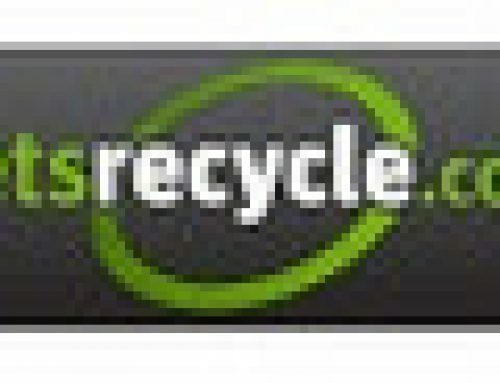 This year, along with partners Bonfiglioli (powerful vertical shears and car balers), MG Recycling (high-performing cable granulators and pre-shredders) and Rotobec (robust and reliable grabs and grapples), McIntyre will be exhibiting and demonstrating a wide range of systems developed knowledgably for the automotive scrap market. 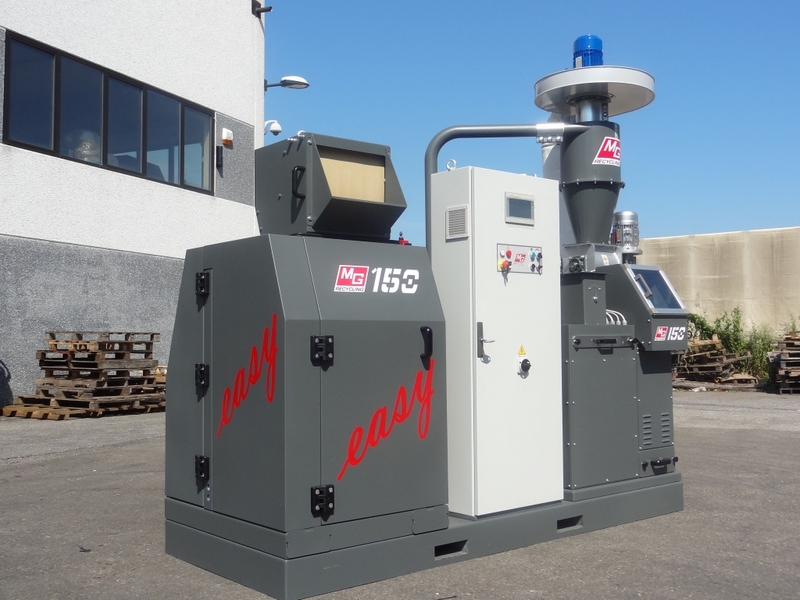 The company will also be taking pre-orders for its new engine cracker, offering special prices on refurbished machines and announcing a new shredder partnership. Bonfiglioli Ariete car baler – This mobile car baler is ideal for car shells, as well as loose light iron, white goods and non ferrous material. It can process 10-12 vehciles per hour. Features include a hook lift system, 5m long charge box, electric or diesel drive and complete radio control. 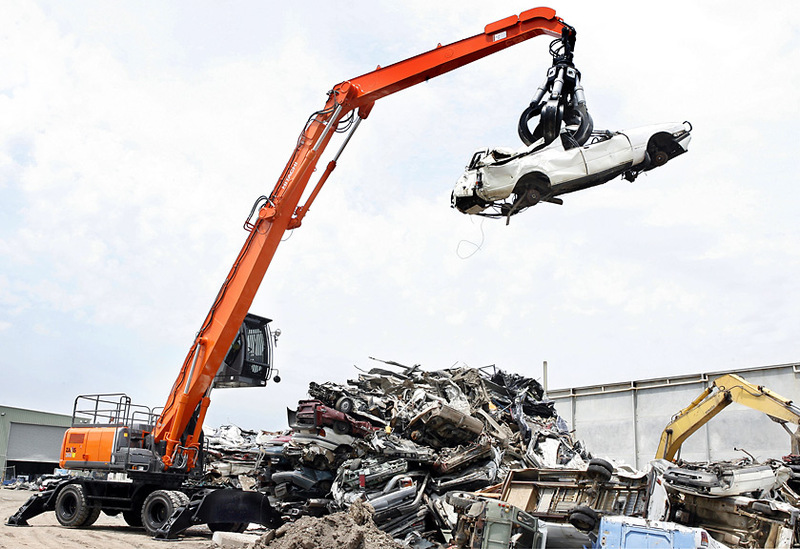 Bonfiglioli Squalo 1000 mobile horizontal shear – This powerful, tough and easily transportable shear can process any kind of mixed light/medium scrap metal, and also process HMS pieces by holding the material vertically on the hopper using the loading crane. It has a cutting capacity of 200mm diameter and 175mm square (mild steel bar), and a fully automatic cycle that makes one cut every 42-45 seconds. 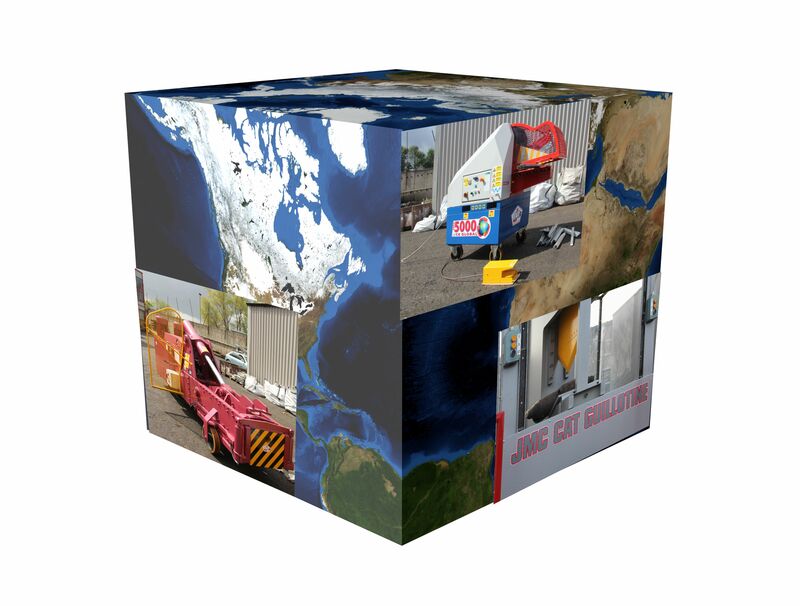 Yet it only takes one operator so provides the best cost: output ratio in its category. 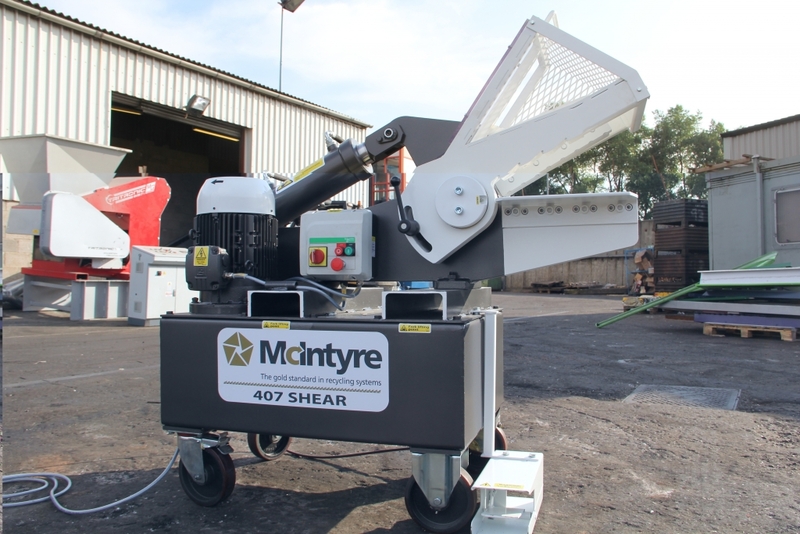 This affordable, efficient 16” (407mm) blade cleaning shear is one of McIntyre’s best sellers, and no surprise. It will happily cut up to 2.25″ (56mm) of mild steel round bar and has enough power and speed to handle a wide variety of other cutting tasks – from cutting tyres to cleaning automotive aluminium scrap, and separating whole gear boxes, cylinder heads and blocks, and oversized gate valves. The blades are deep-hardened to extend their life. 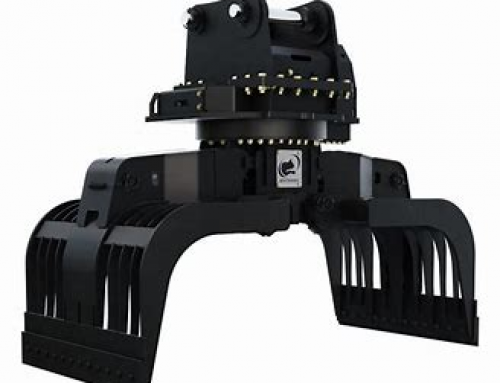 This system can handle most heavy-duty cables including armoured and multi-core, from 6mm to 101mm diameter at speeds of up to 42 metres a minute. It is easy to use and adjust, and is built to last, with twin hard-wearing blades. 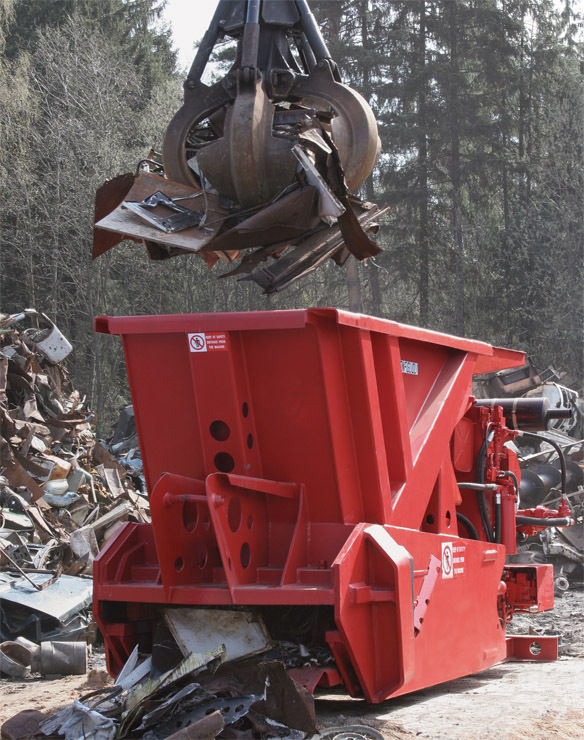 Rotobec grabs are the toughest available, engineered specifically to withstand the rigours of a busy scrap yard. In some places, their pins are 50% larger than in rival machines, and the teeth do not wear out nearly so fast. On average, they require a full service half as often as the average rival grab – and then each service costs significantly less due to superior components. (But don’t take our word for it. 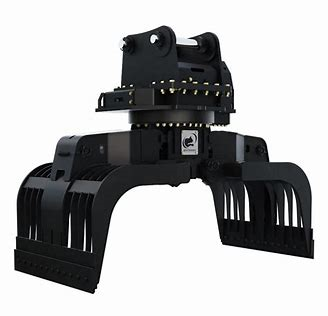 Read how MDJ Light Brothers made major savings by switching to Rotobec grapples: here). MG’s granulation systems are unique in their ability to produce a quality copper granule containing less than 0.2% plastic. Its compact Matrix 150 model processes up to 250kg per hour of cable, and has a version tailored specifically for car looms and harness wires. This comes with a pre-shredder and magnetic separation. Unlike other systems, it also has a dosing system that injects powder to dry the grease and glue from the cables, preventing clogging to allow for clean separation. This makes granulating wiring looms from ELV vehicles an economical and efficient proposition. An additional filter can be supplied to cope with any dust generated. 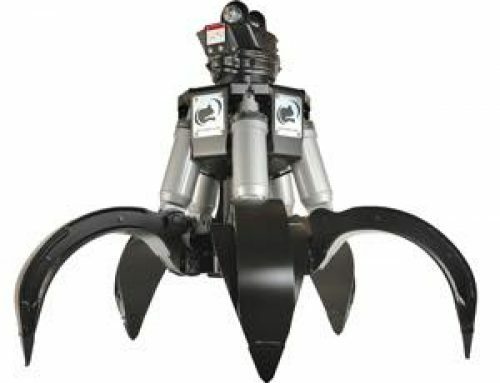 Delegates can also ask engine demolition experts about the recently released MP 1300 – a.k.a. ‘The Boss’ – McIntyre’s most powerful engine cracker yet. With a 130 tonne crushing force, it can demolish an engine in just two minutes – separating steel from aluminium and other component parts for swift and optimised processing and thereby maximum profits. With this performance, it will typically deliver a return on investment in less than a year. 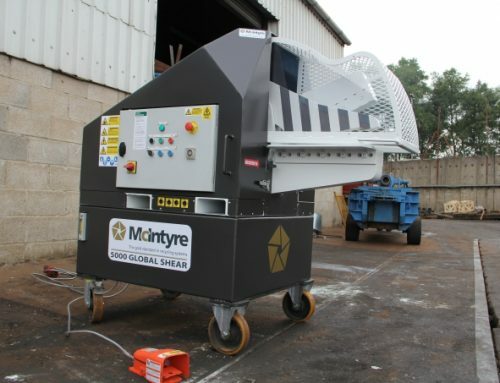 Like all McIntyre machines, it has been developed for the company’s own scrap yard, so has been design for optimum uptime, performance and profitability. Demand is already strong and early customers include BMW. McIntyre will be taking orders for the rest of the year at the Expo. 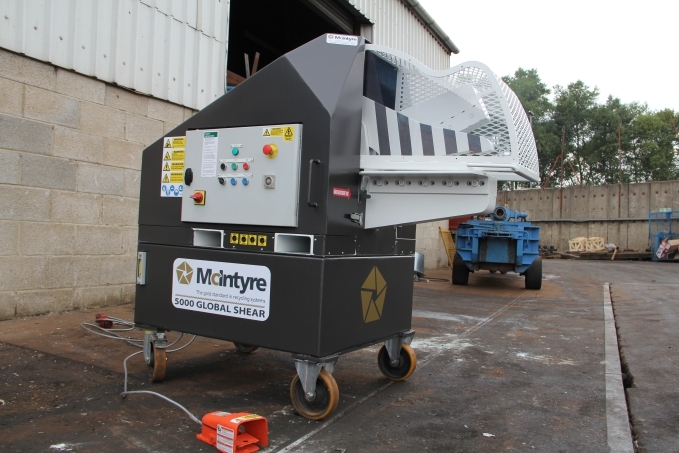 McIntyre will be taking orders for its current stock of reconditioned machines, which are immediately available and excellent value. Pick up a full list of products in stock at the stand.